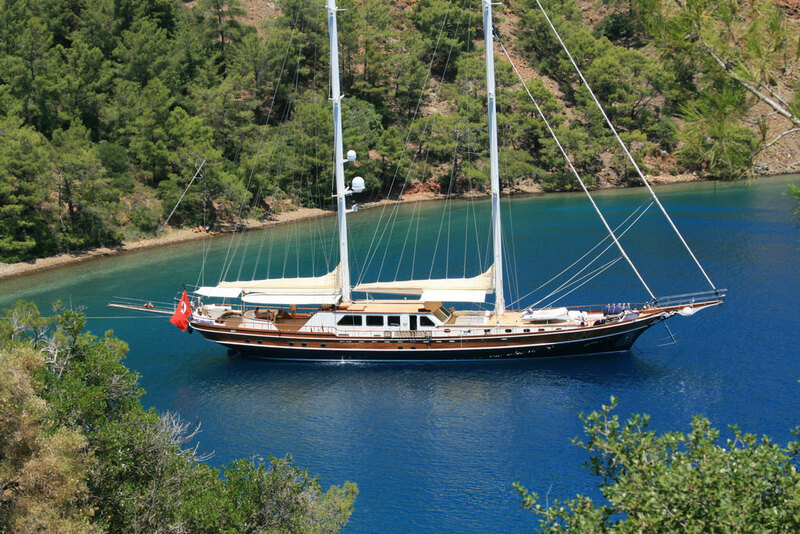 Kaya Guneri 5 gulet is an ideal choice in super yacht luxuries and services for your sailing holidays in the Mediterranean or Aegean. 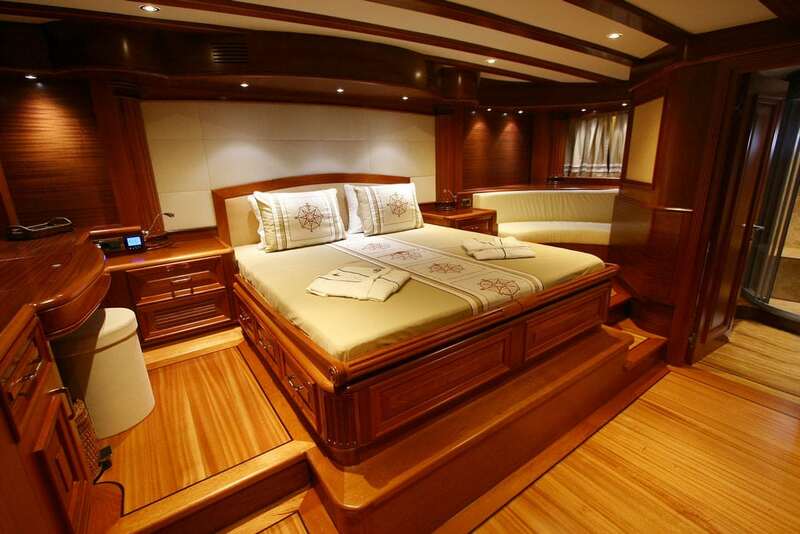 Boasting 40 meters she provides 6 well equipped and spacious cabins for your pleasure. The interior offers marble and fine wood accents found in the en suites. The privacy of your time relaxing is one of many considerations by the crew of 6 who aims only to please while serving around the clock on board. 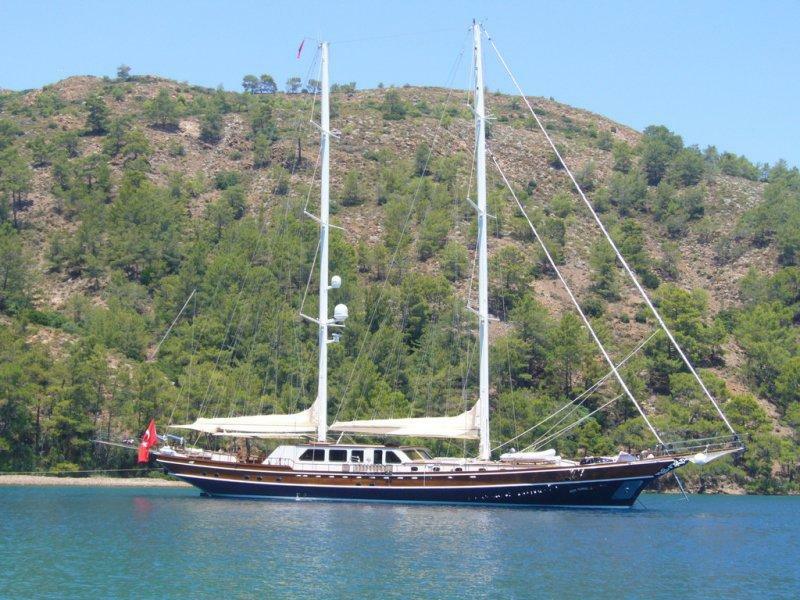 Suitable for family gulet cruising, there are 2 master cabins, 2 double cabins and 2 twin cabins to accommodate 12 guests with plasma TV's, A/C. 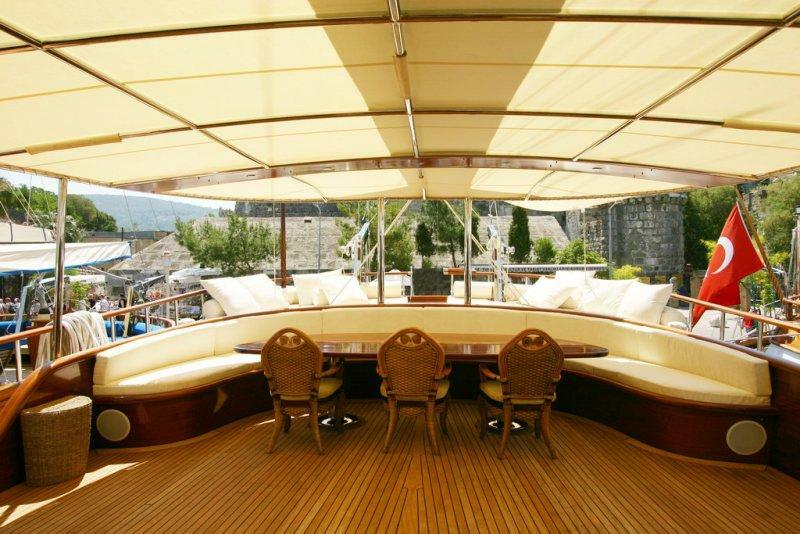 On deck, enjoy the size of a wide open, spacious deck while sunning and lounging on board. There are a variety of water toys for use by guests - keeping the young ones entertained.